Looking to add a little shimmer and shine to your bedroom? Well, get your mind out of the gutter… and into the paint can. 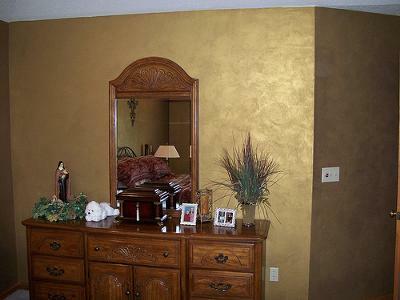 This room uses a gleaming gold paint to add a taste of luxury.